The Ocean‘s formula gets a fresh spin in a heist caper with style. A cooler-than-thou band of criminals, a smoothly executed grand heist, flawless costumes. 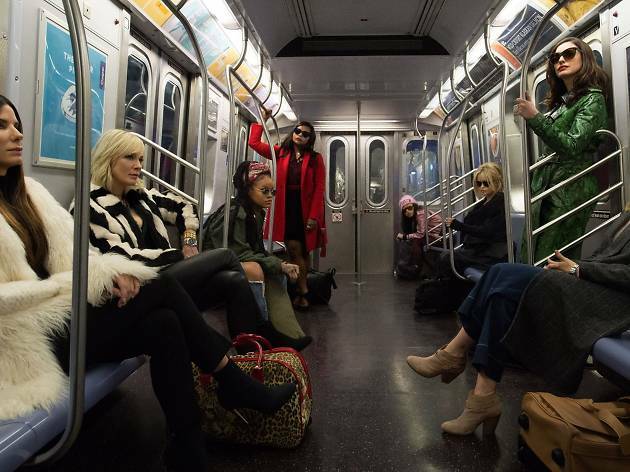 Expanding on the handsome attributes of the Ocean’s franchise with a radiant cast and sufficient NYC groove, ‘Hunger Games’ director Gary Ross’s ‘Ocean’s 8’ gives glossy multiplex entertainment a good name. Fully loaded with Anne Hathaway’s (often underutilised) comedic chops – her cunning movie-star character is the film’s secret weapon – and various high-profile cameos (Heidi Klum, Anna Wintour, Kim Kardashian, you name it), it packs in ample carats of glitz beyond its diamonds and sequinned designer gowns. 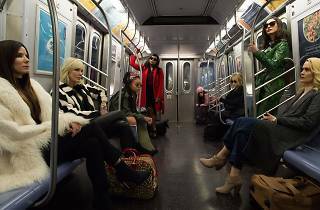 ‘Ocean’s 8’ sticks to the formula, though Ross never quite matches the breezy vigour of the Soderbergh-directed trilogy, but the jokes land and there’s a satisfying twist to bring down the curtain. And, hey, resisting its mischievous spirit is simply impossible. How often is a group of skilled women allowed to be bad? So follow this first-rate ensemble’s lead, slip into something fabulous and join the fun.